Wuxi Top Mixer Equipment Co., Ltd. is a specialized enterprise in research and development, production and sales of fluid mixing equipment. A group of engineers with rich practical experience select the appropriate impeller and determine dimension to meet the operating demands of different customers by analyzing all kinds of parameters. The proper impeller will offer the best mixing effect, operating efficiency and mechanical performance. 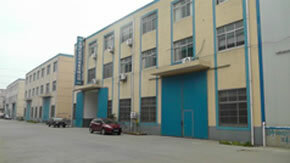 Besides, we can design the complete set of mixing equipment according to your production technique. Wuxi Top designs and manufactures the mixing machines in strict accordance with the ISO9001-2000 management standards, as well as completely in line with the international general machinery manufacturing standards and engineering specifications. Our agitators are widely used in all fields of fluid mixing, including the coating, ink, petrochemistry, chemistry, mining, pharmacy, paper-making, foodstuff, water treatment, fine chemistry and other industries. Wuxi Top Mixer Equipment Co., Ltd. can not only supply the integral mixing equipment according to the actual demands of customers, but also provide the mixing impellers with various functions, such as the double ribbon impeller and anchor impeller for high viscosity application, the mixing blades to be specially designed according to the health-level demand and the agitator blades for the high shearing application process. Copyright © 2012 Wuxi Top Equipment Co., Ltd. All Rights Reserved.